With two of the most "liked" physiques on Instagram, personal trainer sisters Felicia and Diana of Base Body Babes work hard for their bodies. When we shot them in Felicia's gorgeous home for Beauticate, they shared their secrets to chiselled limbs and rock hard abs. The best bit? It's not about slogging it out on the treadmill, starving yourself or cutting out all carbs. It's just about some clever strength training and eating sensible, non-processed foods. I don’t eat gluten and refined sugars, I eat a balanced diet of healthy and nutritious wholefoods including a mixture of protein, carbohydrates and good fats. I love my meat and and all types of veggies. My favourite fish is John Dory fillets, I love red meat like eye fillet steak and I love a good bolognese (I think I make the best one). I’m not such a fan of chicken, but when I do have it, I like the thighs, they are the most flavoursome. I love eggs (scrambled are my favourite) and I would only ever eat organic eggs, other than the obvious reasons for choosing organic produce, normal eggs have a funny smell and taste that I can’t stand. My favourite veggies are broccoli and sweet potato, but I always make sure I vary all of the foods I consume. 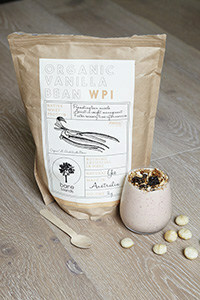 with our favourite Bare Blends Whey Protein Isolate, frozen fruit and C Coconut Water, topped with delicious homemade gluten free, sugar free granola. I also love rice cakes with some almond spread, a drizzle of raw honey and a sprinkle of cinnamon and pink sea salt and I also like to make batches of protein bliss balls to keep in the fridge and snack on when my sweet tooth starts niggling. 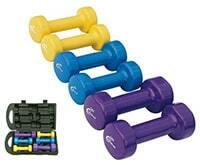 We train in the gym, alternating between strength and circuit style training with weights. On our strength days we lift heavy weights, to put it simply, we keep the rep range low (under 8 reps), we have long enough rest periods for a better recovery so we can maintain the intensity for the whole session and we try and lift a heavier weight than we did in the previous session, this is the art of progression, which we believe is key to improving your body shape. (usually 10-20reps), with 4-6 exercises back to back with no rest within the circuit, switching from upper body to lower body, with a 2-3 minutes rest at the end of each round. This forces our heart to pump blood around our entire body, which really gets the heart rate up, putting us into “cardio zone”. People often ask us what we do for cardio, this is it, we don’t do traditional cardio exercises like jogging, we believe combining strength and circuit days this way is the ultimate synergy for a beautiful lean and toned body. I love training in crop tops and full length compression tights. I like to be comfortable and I like all of my gear to stick to my body, it bothers me when my singlets and long tops get in my way when I workout. I also like to see my body when I lift weights, it motivates me more to work hard and I like to see the muscles I am targeting. 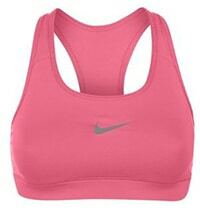 My fave brands are Nike, Vie Active, Adidas by Stella McCartney and Body Science. We do most of our shopping at Stylerunner, they have the best collection of activewear around! and only consume fresh (organic where possible) whole foods. I am not as much of a red meat eater as my sis and generally don’t cook red meat myself, although when the offer is there, I do love her bolognese. My Sundays often consist of meal prep for the coming days ahead and chicken soup is always a staple in my freezer. I like to boil whole organic chickens, shred them up and portion them off, each portion is jammed packed with every vegetable you can think off, my fav being the broccolini in there. especially at dinner time when I am most time poor. I am addicted to Naturis rice bread, it is definitely my vice! 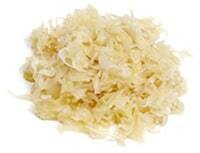 I love to eat it with my scrambled eggs in the morning with goats cheese and grape tomatoes. I make an awesome brekky board of rice bread, organic eggs, sauerkraut, grape tomatoes, avocado and some fresh basil, my ultimate favourite! 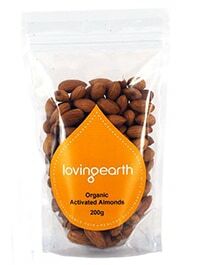 I always carry a bag of mixed activated nuts and dried figs or dates in my bag for when I am on the run. Be good to yourself and treat your mind, body and soul with love and respect. Fuel your body with wholesome, nutritious foods, train hard (with weights if possible, we believe it’s the best way) and maintain that lifestyle for life. Consistency is key. and I wear them throughout most of my training sessions, especially during my strength training sessions. 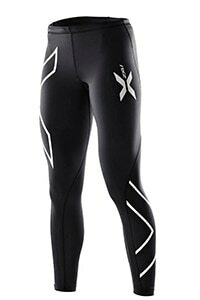 They are great for recovery and help reduce muscle soreness, my favourites are 2XU and Skins. I am the opposite to my sis, I like to wear crops but with loose, racer back tops like at black mesh loose racerback from Nike with any coloured crop underneath. I love adding colour to my basic pieces through my crops and training shoes.